Aloha Tadetti. 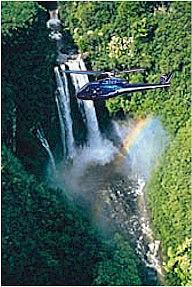 There is no better way to see the Hawaiian Islands than by helicopter. We look forward to welcoming you on board a Blue Hawaiian tour the next time you are in Hawaii. Greetings from Maui, Ree. March is a fantastic month to fly. Lots of waterfalls and the whales are still here. See you then! ★場所確認 - 次を起点のルートマップ - ☆カアナパリ ☆ラハイナ ☆キヘイ ☆ワイレア ☆カフルイ ☆カパルア ☆カフルイ空港 ?